Sore throat is usually a sign of upcoming cold, fever, bacterial infection or even strep throat. It usually occurs in winters or transition between seasons. Dry throat, swollen glands in the neck, difficulty while swallowing foods, pain and itchiness in the throat are few symptoms of sore throat. A sore throat can affect people regardless of their age and usually go away within a week or so. But it can be a serious threat for children, smokers, and people with allergies or weak immune system. The pain and inflammation in the throat is often unbearable and therefore, we look for instant solution. Use apple cider vinegar for sore throat as it is all-natural and easily available at home. Plus, you don’t need to spend extra money on medication either if it works well for you. Keep reading to learn more about how apple cider vinegar works for sore throat treatment! Is Apple Cider Vinegar Good for Sore Throat? Apple cider vinegar contains anti-bacterial properties which fight the infection causing bacteria. The acidity present in it decreases the pH of the tissue, which prevents the growth the bacteria. Raw ACV contains prebiotic inulin which increases the white blood cells and T cells count and strengthen your immune system. The natural expectorant nature of it loosens and thins the mucus or phlegm present in the throat. This helps to breathe and swallow easily. 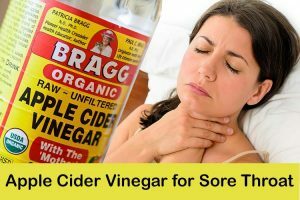 How to Use Apple Cider Vinegar to Treat a Sore Throat? Here is how to get rid of sore throat using these tried and tested home remedies for sore throat. Try any method and get relief from the sore throat. This process helps to speed up the process of healing and alleviate the sore throat symptoms. It feels 80% better after a single treatment itself. If you are trying it for the first time, then it is advised to be near a sink or trash can. Sip a small of amount of apple cider vinegar (undiluted). If are able to withstand it, repeat to sip acv several times a day. After each dose, drink water. The gaps between the each sip should be at least 30 minutes. Gargle using few shots of apple cider vinegar. Rinse your mouth with water to remove the acid build up on the teeth. Note: Don’t forget to rinse your mouth after using apple cider vinegar. If left without rinsing, the acid build up can erode tooth enamel. Don’t brush your teeth immediately after gargling or drinking ACV as it can cause physical abrasion which damages the structure of the teeth. It is best to wait at least 30 minutes before brushing. Try this method at the first sight of a sore throat. Combine up to 2 tablespoons of apple cider vinegar in a cup of water. Finally, sip a small amount of the mixture. Repeat once or twice an hour. To a cup of warm water, add 1 or 2 tablespoons of apple cider vinegar. Sip this mixture slowly 1 to 3 times throughout the day. A higher vinegar concentration can treat symptoms more effectively, so try for 2 tablespoons if you can withstand. Note: Don’t forget to swish and drink water after each gargle. It helps to remove the vinegar from the system and avoid its contact with sensitive areas. Honey helps to soothe the irritated skin and mucus membranes present in the throat. Combine 8oz of warm water, 1 tablespoons each of raw honey and apple cider vinegar. Drink the mixture gradually while still warm. Alternatively, you can mix 2 tablespoons of ACV in ½ cup of warm water and use the mixture to gargle for 4 minutes. It helps to reduce by at least 50%. Combine equal amounts of ACV and honey. Gargle the mixture and swallow it. In a glass of warm water, dissolve 1 tablespoon apple cider vinegar and 1 teaspoon salt. Note: Don’t swallow the mixture. And rinse your mouth each time after gargling. Add 3 tablespoons of apple cider vinegar, 2 tablespoons of honey and 3 tablespoons lemon juice to 16oz of water. To a cup of warm water, add 1 teaspoon each of apple cider vinegar, honey, lemon juice and cinnamon powder. Combine a little hot water, apple cider vinegar, cayenne pepper and honey. Gargle for few minutes using the mixture. And finally, take a sip of the mixture. It reduces almost 50% of the soreness. In 4 oz of water (tea temperature), 3 teaspoons each of apple cider vinegar and honey. Add 1/4 teaspoon of cayenne pepper and stir well. Using the mixture, take a sip, gargle and then swallow. Alternatively, you can use 8oz of warm cinnamon tea instead of 4oz water. Take 8oz of peppermint tea flavored water. Add 1 tablespoon apple cider vinegar to it. Gargle using this mixture for few times. Peel few slices of ginger and few cloves of garlic. Blend them to make a fine paste. Consume 1/4 to 1 1/2 teaspoon of the mixture. Combine 2 tablespoons of apple cider vinegar in a glass of water. Repeat if required after some time. To counteract the taste, you can add honey to lessen it. Note: If you are not interested in peeling and chopping, you can use store brought ginger-garlic paste. Yet freshly made mixture is more effective than commercial ones. Because store bought ones contain preservatives. Add 1/2 cup of apple cider vinegar, 1/4 teaspoon cayenne pepper and 1 tablespoon salt to it. Simmer for 1 to 2 minutes and remove the flame. Add honey as per your taste and 3 – 5 ginger crystals. Gargle with 1 to 2 tablespoons of the mixture. You can either swallow or spit out after gargling. Take 1 cup of warm water and add 1 tea earl gray tea bag. Now add 2 tablespoons of apple cider vinegar and 2 teaspoons of sugar. Combine apple cider vinegar, honey and orange juice. Sip the mixture gradually for 30 minutes. Squeeze juice of half orange. Combine 1 teaspoon apple cider vinegar, orange juice, salt (desired amount) and warm water. Heat enough water for one of two drinks. Add 1 dessert spoon of apple cider vinegar and freshly chopped ginger (1 cm). After few minutes, remove from the flame and strain it. Drink the mixture slowly while it is warm. Combine 8 ounces of water, 4 tablespoons of apple cider vinegar, chopped garlic (2 cloves), several drops of tabasco, 2 tablespoons of honey, and 1/2 teaspoon of cayenne pepper. Make sure to rinse your mouth after gargling, sipping or drinking apple cider vinegar. For best results, use only raw, unpasteurized and organic apple cider vinegar which has mother element in it. Whichever method you choose, repeat the process 2 or 3 times a day as per the severity of the symptoms. Drink plenty of fluids especially lukewarm water. Avoid pollution and junk or spicy foods. Wear a mask in dusty areas to avoid pollution. A sore throat can be a frustrating and annoying condition but with any of the above methods, you can get relief as soon as possible. Try any method and let us know how it worked for you. You can share your experience and suggestions in the comments section below. 1. Is Apple Cider Vinegar Good for Pregnancy Women? Yes, it is completely safe. You can just add a tablespoon of apple cider vinegar in a cup of warm water and gargle with it. It helps to clear the phlegm and kills the bacteria. 2. Can I Use Apple Cider Vinegar for Tonsil Stones? Yes, you can use apple cider vinegar for tonsillitis. It is one of the good choices for tonsil stones. You can gargle using the mixture of 1 tablespoon of water mixed in a cup of warm water. 3. Is apple cider vinegar gargle good for strep throat? Of course, gargling with apple cider vinegar can be of a great help. Mix 1 tablespoon each of apple cider vinegar and honey in a glass of warm water. Drink it. Repeat 2 times a day. 4. Can I use apple cider vinegar for throat yeast infection? Yes, you can. Gargle with diluted apple cider vinegar 2 times a day. 5. Can apple cider vinegar reduce sore throat pain? Mix 1/4 cup each of apple cider vinegar and warm water. Gargle using this mixture every hour till the pain reduces. 6. Which one is best, salt water or apple cider vinegar for sore throat? Both are good. You choose one of them based on your taste or comfort. Or else if you want to both of them then you try (ACV with Salt) method mentioned in the article. 7. What if I have both cold and sore throat? Will apple cider vinegar work for both? Yes, you can use apple cider vinegar for cold and sore throat both. It makes our body alkaline and deals with the cold virus. It can also boost our immune system. 8. Can apple cider vinegar cause a sore throat? The acidity of undiluted apple cider vinegar can burn the tissues of the throat if taken in large amounts and regularly. This can lead to a sore throat. So it is good to use diluted one instead of taking apple cider vinegar directly. What is the proportion for gargling with vinegar and water? I use apple cider vinegar straight, not diluting it with anything. It has worked good for me. But my question after reading all the suggestions above, Is using apple cider vinegar without diluting to strong or unhealthy in any way? Because when I use it that way, it works very quickly. I actually like gargling everyday with it. But now I’m concerned that might be too much. If it is taken in moderate amounts then it doesn’t harm. But it is taken in large amounts it can cause upset stomach, stomach pain and other side effects. Can ACV clear up white spots from strep throat? Yes, apple cider vinegar is helpful in treating white spots from strep throat. You can try any method mentioned above for the same. One method I used tonight was 3-4tbs ACV 1/4 cup honey, and 3Tbs coconut oil it melted (not cooked or boiled, just warm it up) and drank it. Coconut oil is supposed to really soothe a sore throat, I really hope it works! It is better to consult a doctor to find out the exact reason for the pain. If it is due to sore throat then you can use apple cider vinegar. How many times will i gargle the apple cidar in a day for fast relief of my sore throat? You can repeat 2 or 3 times a day. You must gargle 3-4 times in a day for best results… Make sure that you gargle while empty stomach . else it might trigger nausea… You may also take cough syrups to expedite your recovery. For tonsil stones how many times a day do you gargle the ACV and water? And how long does it take to go away? Combine 1 tablespoon of apple cider vinegar and 1 cup of warm water. Gargle the mixture for 2 minutes and rinse off your mouth. Repeat the process 3 times a day. My mom and my brother came down with sore throats, I mentioned putting ACV in their tea and their sore throats cleared up. I’ve forgotten the mix amounts of water, sugar and apple cider vinegar, gargled for sore throat relief. This was passed down from my grandparents, but I’ve forgotten the mix. Can you help? You can add 2 teaspoons of apple cider vinegar and 1 teaspoon of sugar into a cup of water. Use this mixture to gargle for relief from sore throat. Apart from gargling, drink acv and cayenne pepper concoction for extra relief. All you have to do is, mix 2 tablespoons of apple cider vinegar, 1 teaspoon of cayenne pepper and 1 teaspoon of honey into a cup of water. Drink this mixture twice a day. Wow! I gargled with pure, undiluted ACV. I had no voice. Sounded like a robot due to a cold of flu. Immediately after 2 gargles, my voice tone improved in at least 70%. And this was immediately!!! I will keep doing it every hour or so because I have to go to work tomorrow. Try acv, honey, lemon method mentioned in the above article to reduce hoarseness of your voice. Is acv still effective with strep caused by mono? Yes, acv is helpful in treating strep throat caused by mono (mononuclesosis). Try it and share your experience with us. Strep throat caused by mono????? 2 different infections. Mononucleosis or streptococcus bacteria are two conditions which can be responsible for strep throat. Mild to moderate sore throat that worsened over the course of the week, culminating in very swollen tonsils with some patches. This was my first time foregoing the urgent care, and opting for at home remedies. I did 2 cloves garlic w agave (no honey in the cabinet, but made it easier to swallow) every 2-4 hours while awake, and ACV diluted, 2 T/8-10 oz water in the am, and 1 T/4-8oz water before bed. I am amazed that only after two days my tonsil swelling is significantly reduced and no visible patches, redness is significantly better also. So glad I tried this, if you can handle the funny tastes and slight queasiness at times, then I say this is worth trying! I had a sore throat and gargled with vinegar solution. Next day sore throat was gone but it was in my chest. Could the vinegar push the bacteria down into your lungs? No, ACV doesn’t push the bacteria into the lungs. So, it might not be the reason for the discomfort in the chest. Try the process again for 2 days and see if the problem resolves. If it doesn’t then avoid using it further. NEVER do I comment on stuff like this. Today I had the worst soar throats I have experienced in my entire life. I’m 31 and I was crying like a 3 year old. My lymphnode under left side of my jaw was so swollen and it hurt to even move my toungue. I just knew I had strep. But I also had smoked too many cigarettes the last couple of days and I had anxiety/guilt and didn’t want to go to the doctor. I google apple cider vinegar and I read a couple post and decided to try it. I just so happened had bought a bottle the other day because of all the weight loss articles I’m reading. I’m here to tell you (again) the worst soar throat I’ve ever had in my life…stopped hurting after I took a shot of ACV. YALL – My Soar throat stopped hurting and I could eat and talk and laugh just 2 short hours later!!!! To top it all off, I had a few canker soars in my mouth and those STOPPED hurting. Where in the WORLD has this been on all my life? I am such an advocate for this. I literally took a shot of ACV then immediately started to drink hot water in a coffee mug mixed with 1 tbsp of ACV and 2 tbsp of honey. I got down about 4 sips and that’s all I could do. I’m literally sitting here 3 hours later writing on my first comments board ever. #teamacv ? As per the recent studies, pasteurized apple cider vinegar can be safely consumed during pregnancy, while uncertainties exists in case of the unpasteurized category. We recommend asking your gynecologist before taking it. I have had a very sore throat for 4 or 5 days, after returning from holiday. Its that sore I can’t swallow my own saliva! I’ve not eaten for days. I started amoxicillin the 2nd evening, 2 days later no change … I’d say it’s getting worse. My ears are effected now. Any advice? Stop taking amoxicillin and try any ACV method mentioned above for 2 – 3 days. If you are not able to find relief from it then consult a doctor. If I take 1 (10ml) ACV without warm water for gargling. Is this good or not..? Gargling directly with undiluted apple cider vinegar can damage tooth enamel so we recommend diluting it with some water. In a day..beacause i have a sore throat from last 25 days . I have take many vitamins. Last night i got some relief frm ACV. For some reason, I get extreme pain in my throat when I do this. Feels as I would imagine rubbing salt into an open wound would feel. Extreme unbearable pain for about ten minutes, made my noise run too. Began to lessen but remained very uncomfortable for over half an hour. My concoction was just raw ACV in water. It may have been a little stronger than recipes above but still very diluted. The water was not warm but not cold either. This has happened more than once. I can’t u see stand why it’s so incedibly painful. 15 days ago, I was suffering from severe cold. 3 days later I figured it out, my left side tonsils gland swollen up and appeared white patch on it. Lymph glands swollen in the left side under my jaw.took antibiotic, white patch had been disappeared, but swollen tonsil glands and lymph glands still lying there. Please suggest me the amount of apple cider. 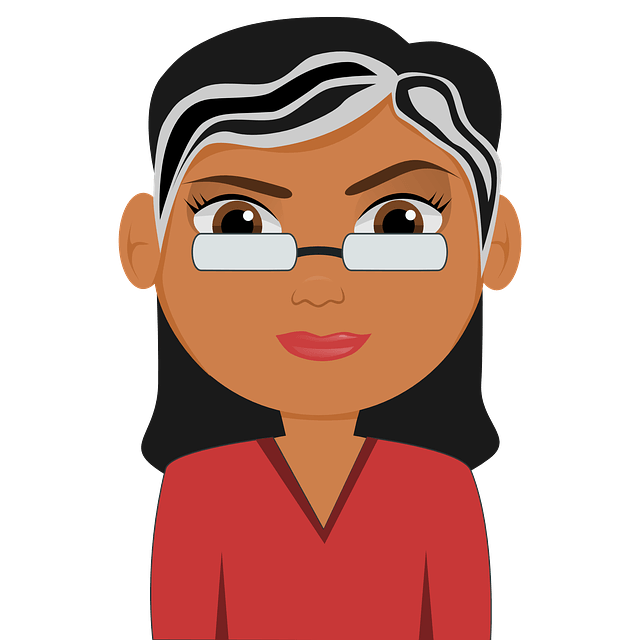 Can apple cider vinegar be taken by people with low blood sugar….